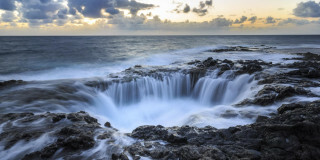 Lead by an expert geologist, this exploration of Lanzarote includes a walk through the center of a crater, otherworldly volcanic landscapes, and the biggest “volcanic bomb” on Earth. 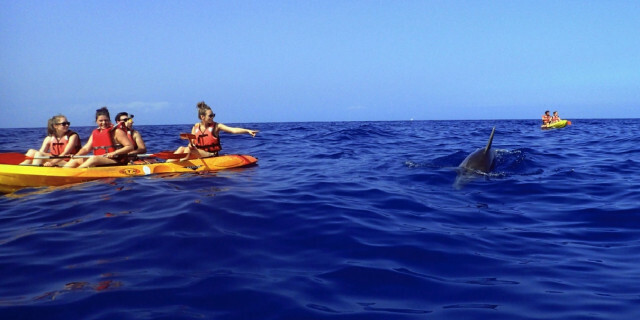 Kayak through sparkling waters as dolphins playfully leap around you, welcoming you to their natural habitat. 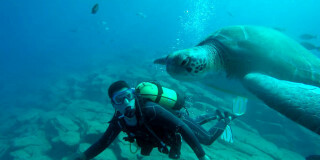 Then put on your snorkel and discover a world of turtles and bull rays swimming right by. 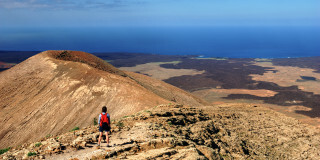 Run off into the unspoiled trails of Tenerife and discover the astonishing local nature of this Atlantic paradise. 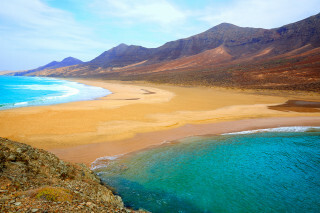 Discover the beautiful northern side of Fuerteventura on this unique e-bike tour. 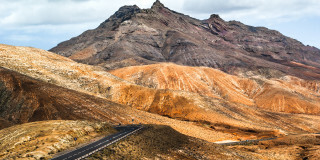 Bike over volcanoes, visit authentic local villages and cruise along the breathtaking Fuerteventura coastline. 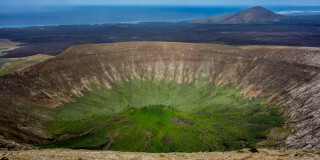 Learn about the unique ecosystem created by an ancient hydromagmatic volcano, discover surviving species, and climb the rim of Lanzarote’s “perfect crater”. The trip was amazing with views to die for. It was hard work getting the top but well worth it. Our guide Martina was very knowledgeable and just added to a thoroughly enjoyable day. Tread along the “Island of 1,000 volcanoes” for an adventurous walk through the island's otherworldly nature. Set off on one of the most exciting adventures on Earth. There’s nothing like a close encounter with majestic whales in the clear waters of Tenerife. 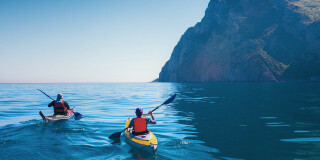 Propel yourself along the unbelievably blue waters by kayak to discover Tenerife's coasts of high rugged mountains. 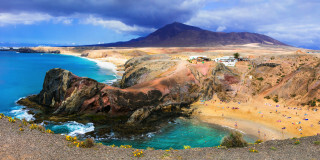 Swim in sparkling waters set in rocky lagoons for a snorkel safari through Lanzarote's underwater wildlife. 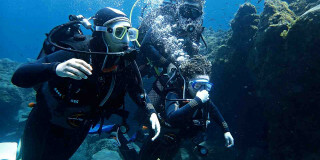 Discover how to scuba dive, get official certification, and explore the abundant sea life in Tenerife's clear seas in a short and sweet two-day course. A must for nature trail enthusiasts. 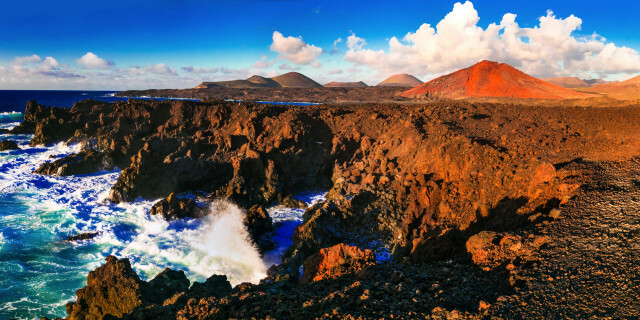 Reach the highest point of Lanzarote as you zigzag through protected valleys, extraordinary hills, and rich woodland habitats. 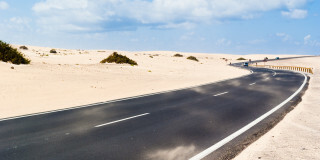 Pedaling through Fuerteventura is an endless adventure. Volcanoes, aloe vera farms, ocean roads, single tracks, fun descents...this is what e-bike tours were made for. 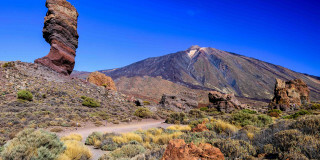 Hike around Spain's famous Teide National Park peak full of unique volcanic nature and sweeping views over Tenerife's land and sea. Customize your own week full of adventures on a volcanic island full of forests and beaches for endless outdoor exploration for everyone in the family. All pick ups, drop off and super activities went exactly according to plan. All staff very friendly and knowledgeable. Would do it again without a thought. Experience one of Tenerife's most thrilling canyons. Waterfall abseils, high jumps, and exciting slides - all in the heart of the hidden Teno Nature Reserve. 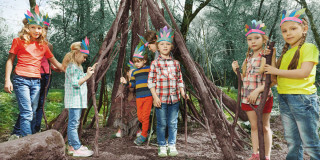 Play games and puzzles, learn about Tenerife and enjoy the incredible island nature of Playa de Abades or the Corona Forest on a kids adventure full of fun. 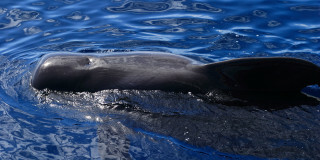 Sail across bright blue waters and watch for whales and dolphins on this expedition around Tenerife. Plan your own week full of adventures on a volcanic island full of forests and beaches for endless outdoor exploration. 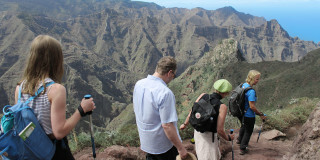 Wander through dry, rocky hills, in dense forests, or along a flowing ravine on a hike to admire Tenerife's astounding nature. 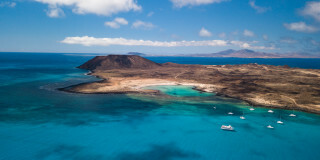 Explore the small island of Lobos, a nature reserve a quick ferry ride from Fuerte. E-bike to volcanoes, swim in the crystal waters of a gorgeous lagoon, and taste fresh paella. A trip made for all! Bring your family and friends along on this e-bike journey around Fuerteventura. Discover volcanoes, visit charming beaches and villages, and feed chipmunks as you explore. 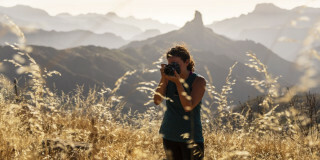 Explore the sky and reach unbeatable views of the most famous peaks and beaches of Tenerife. Why lie in the sand when you can fly over it? 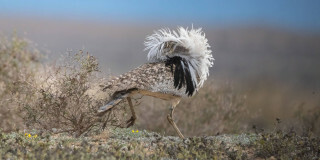 Experience the diversity of this top-rated, fascinating birdwatching tour in the protected area of the Lanzarote desert. 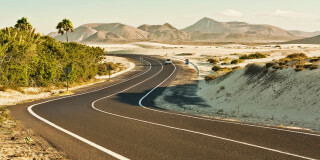 Ride off the beaten path and discover Fuerteventura's countryside and untouched nature. Explore the fascinating turquoise sea of Tenerife and spot gorgeous wild dolphins swimming close to you. 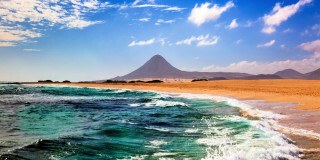 Journey from Corralejo to the heart of Fuerteventura. This e-bike tour takes you over single tracks, mountains, and descents that provide an exciting challenge. 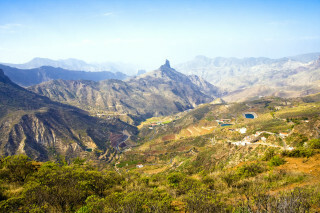 Trails overflowing with green, fresh misty mountain air, and a Canarian lunch in the middle of the forest make this hike in the Anaga Forest a treat for all the senses. The Forest is beautiful and the marked trail the guides chose was a beginner to intermediate hike and perfect for our group. The guides were very personable. Lunch was delicious. The visitors center has trail maps so if you want to hike after the excursion and have your own transportation from the visitors center to your hotel it is possible to do this. 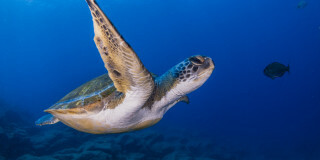 From large mammals to colorful fish to lush trees, admire the best of Canary Islands's inhabitants on a Nature & Wildlife tour. Discover and appreciate species of all kinds in their natural habitats as you adventure responsibly. 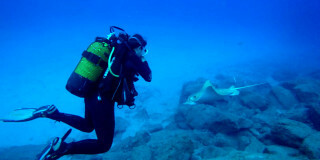 Are you looking for more nature & wildlife activities in Canary Islands?